Upgrade your Master bathroom and pool with these Madhvi Collection luxurious and oversized towel set by Affinity Linens. Feel like 5-star hotel bath at home with these towels. Made of 100-percent cotton, these towels are highly absorbent and durable. Double ply loops provide extra absorbency and less lint. PREMIUM BATH TOWELS. 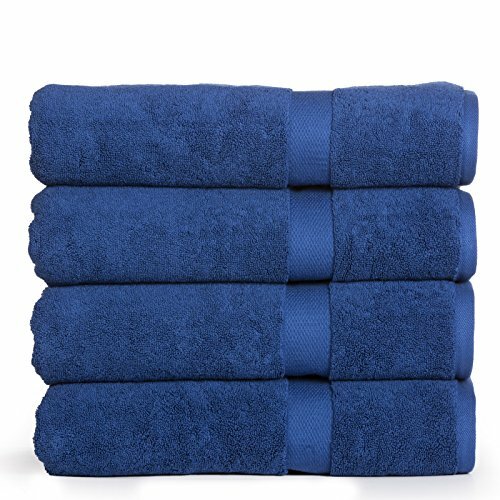 This set includes 4 Extra Large Bath Towels, measuring 30" x 60" each. The 800 GSM weight and double ply construction make them thicker, stronger, and more absorbent than most. These truly indulgent towels are available in a wide variety of beautiful colors to suit any home. Oversize Towels 30 inches x 60 Inches & Machine Washable, Tumble Dry low. If you have any questions about this product by Casa Platino, contact us by completing and submitting the form below. If you are looking for a specif part number, please include it with your message.